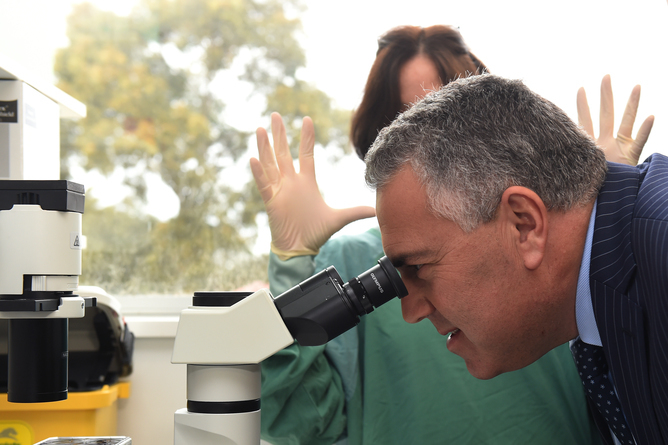 Treasurer Joe Hockey didn’t believe in the Abbott paid parental leave plan in opposition but has had to defend it. ranks against his paid parental leave scheme is still striking. policy of the leader which he took to two elections. policy that has little community support. labour market participation, disadvantages stay-at-home mothers. A number of the “dry” critics remain silent but will be pleased with their colleagues' attacks. The Nationals have no reason to hold their tongues. They want to be heard by their supporters. lecture on the need to be “conservative with the budget”. scheme from 18 to 26 weeks and add in superannuation. reduce the proposed maximum payout from $75,000 to $50,000). going to have replacement wages plus superannuation”. same as for the present one. trying “to trick” his colleagues. minimum wage. But few farming women would fall into that category. revolt in Coalition backbench would clearly give it to them. outcome, then the Senate becomes irrelevant. A double dissolution in the foreseeable future would be bravery with a capital B.